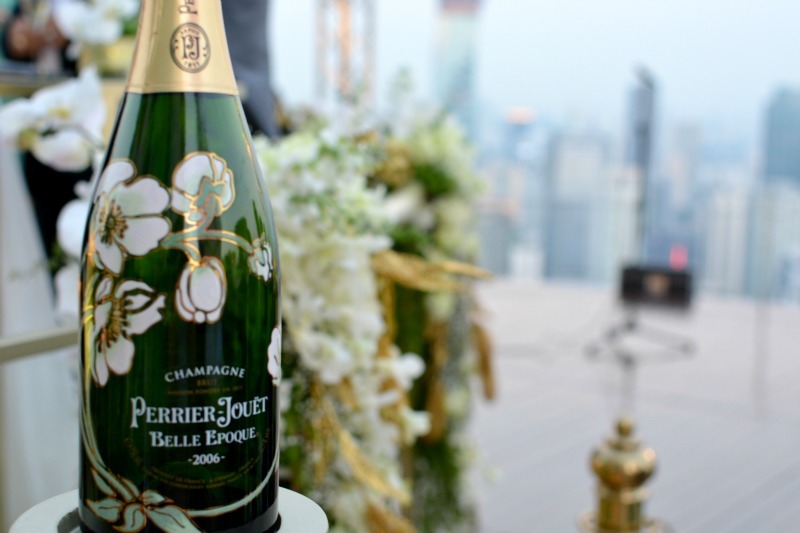 Launch of The World's Highest Open-Air Champagne Bar. 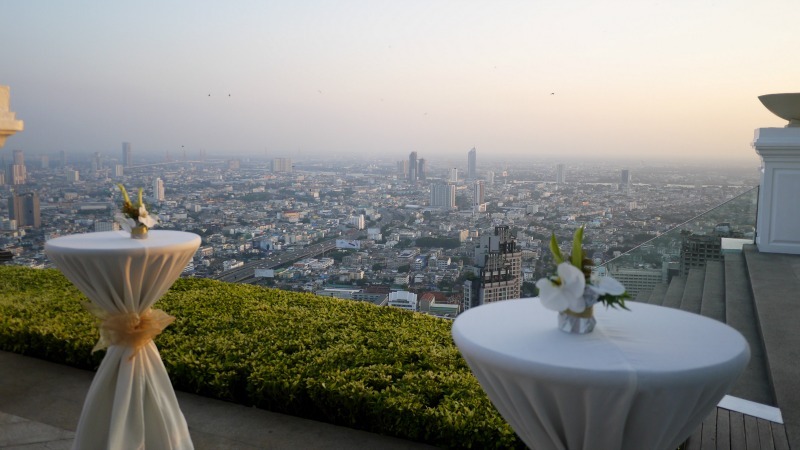 On Thursday 22nd January, Lebua Hotels launched their new champagne bar; Flute A Perrier-Jouet bar, in partnership with Perrier-Jouet champagne. 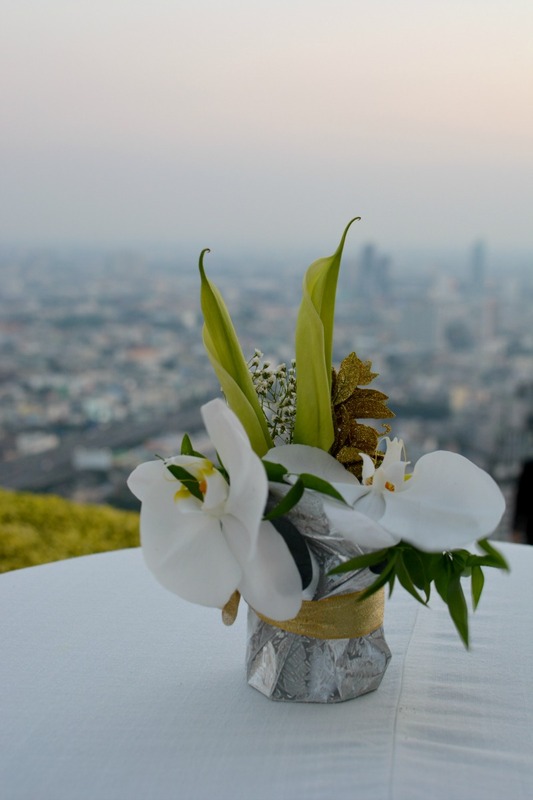 Located on the 64th floor of Lebua in Bangkok, sipping champagne at Flute is an exclusive one-of-a-kind experience that you won't get anywhere else in the world. 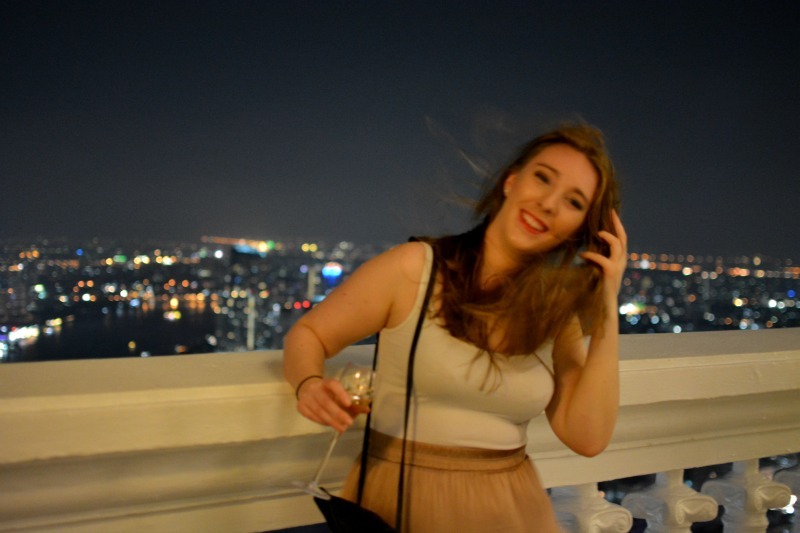 I attended the launch along with Bangkok's 'HiSo', so thought I'd tell you a bit about it! The whole reason I was in Bangkok was for the launch of the Flute bar. As you'll know if you've been reading Lux Life for a while, I regularly blog about exclusive London events and bar/club launches - one of the reasons I first started this blog was to share with the 'outside world' all of the events I attend at London's private members clubs. 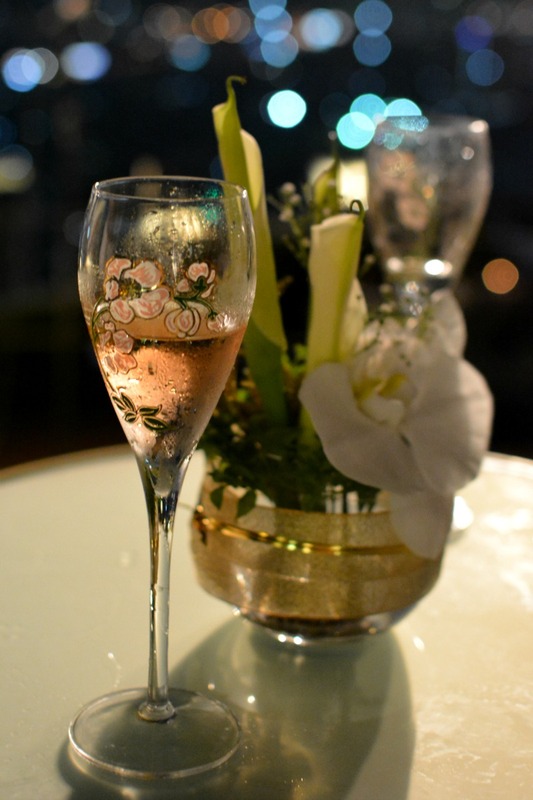 So when I was invited to the launch of Flute A Perrier-Jouet by Lebua Hotels, I just couldn't say no to the opportunity to experience a part of Thailand's own exclusive luxury scene. 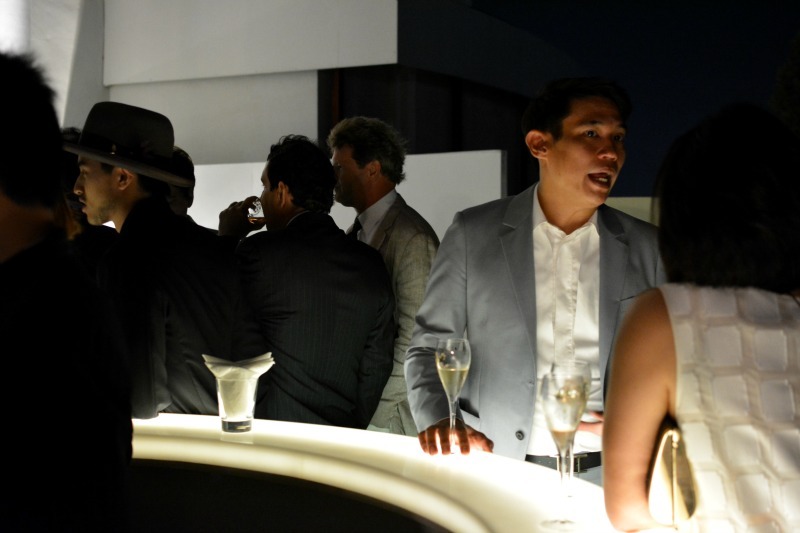 The launch event theme was white and green, so everyone was encouraged to wear something white or green, or both. I was originally going to wear a white dress, but right at the last minute realized that with the windy rooftop it would end up around my neck - and I didn't think everyone wanted to see my underwear. 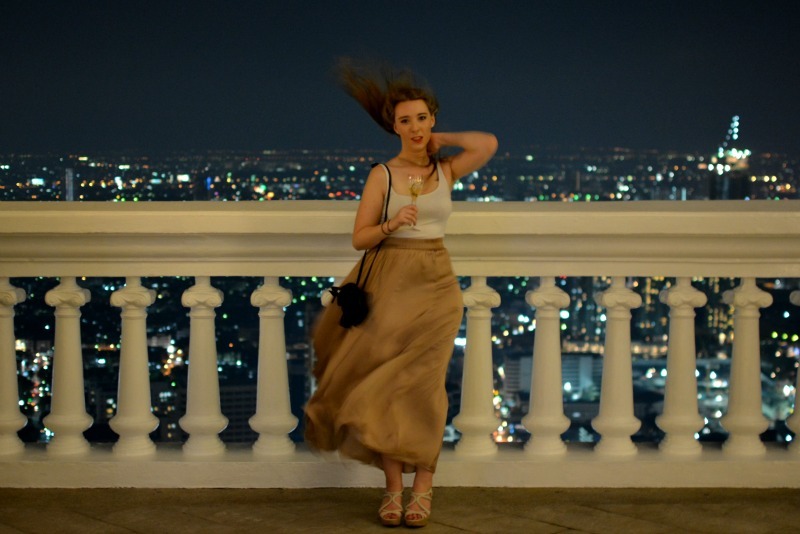 So I changed and wore a white vest top and long dusky pink silk skirt from Zara. Sadly I didn't get a photo of me in the daylight, so you'll have to just have one of me at night! There were some really incredible outfits at the event, from full length green and white dresses, to men in sharp suits. 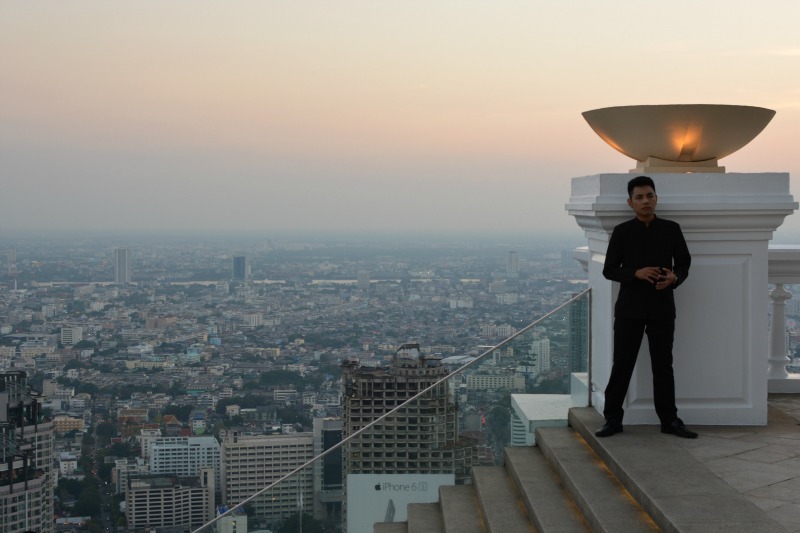 I arrived fairly early to catch the sunset, and after snapping some photos, the CEO of Lebua hotels, Deepak Ohri, welcomed me and introduced me to a few of the lovely gentlemen from Pernod Ricard (the parent company of Perrier-Jouet). We had plenty to talk about as I've previously worked with Pernod Ricard on Pernod Absinthe and ABSOLUT vodka. I'm also a huge fan of Havana Club Rum and G.H. 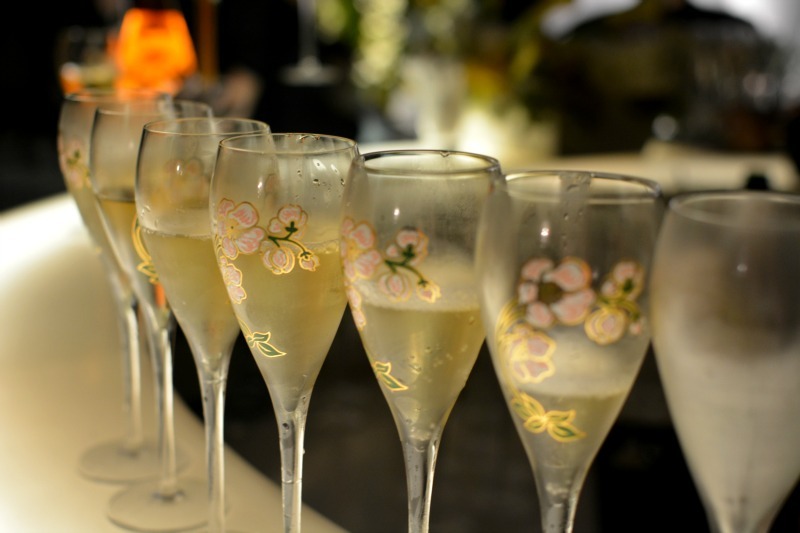 Mumm Champagne; I only drink Havana Club rum so obviously I visited the Havana Club museum in Havana, and at Royal Ascot in 2015 my friends and I celebrated with a car boot full of around 30 bottles of G.H. Mumm champagne. The Flute bar is honestly incredible. It's the more high-end luxurious version of the more touristy Sky Bar, which is a standing-only bar famous for featuring in The Hangover II movie. 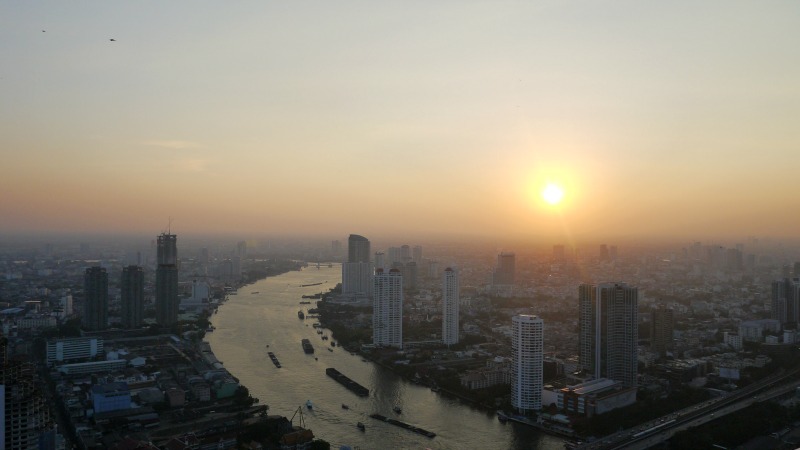 Flute is more exclusive, with 170-degree views over Bangkok, it allows you to sit on comfortable green leather sofas and sip champagne whilst staring up at the nights sky or out over the Chao Phraya River and Bangkok's city skyline. 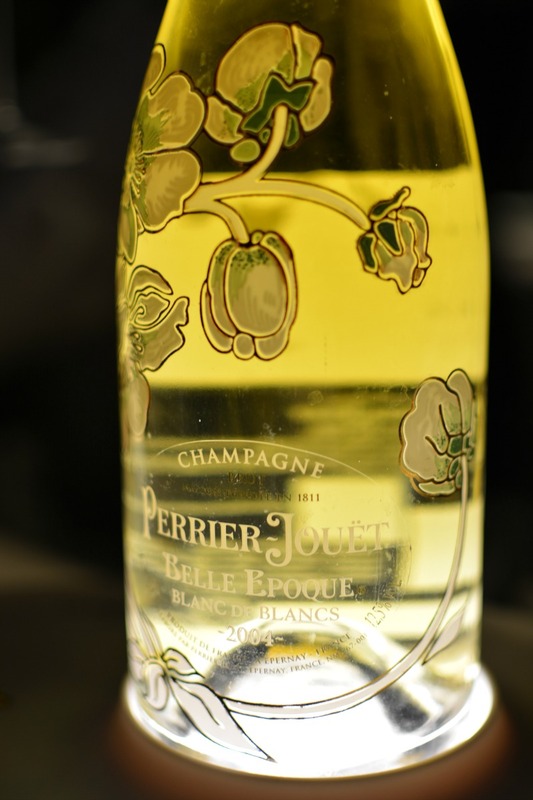 And the most special aspect of Flute A Perrier-Jouet is the selection of champagnes available. 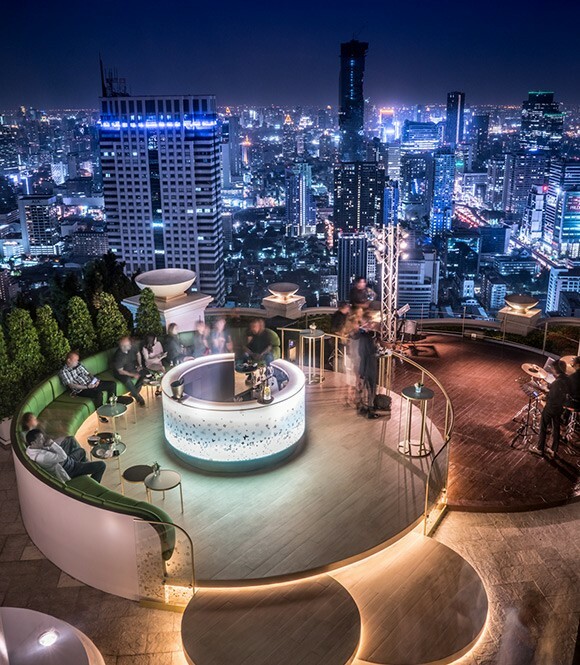 Lebua pride itself on creating exclusive experiences not only for their guests, but for anyone visiting or living in Bangkok, which is why they have such a large focus on food and drink, and such a special partnership with Pernod Ricard and their luxury drinks brands. The champagnes available at Flute are Perrier Jouet Blanc de Blancs, Cuvee Belle époque Brut, Cuvee Belle époque Rose, G.H. Mumm Cuvée R. Lalou, G.H. Mumm Grand Cru Brut Selection, and Perrier-Jouët Blason Rosé. 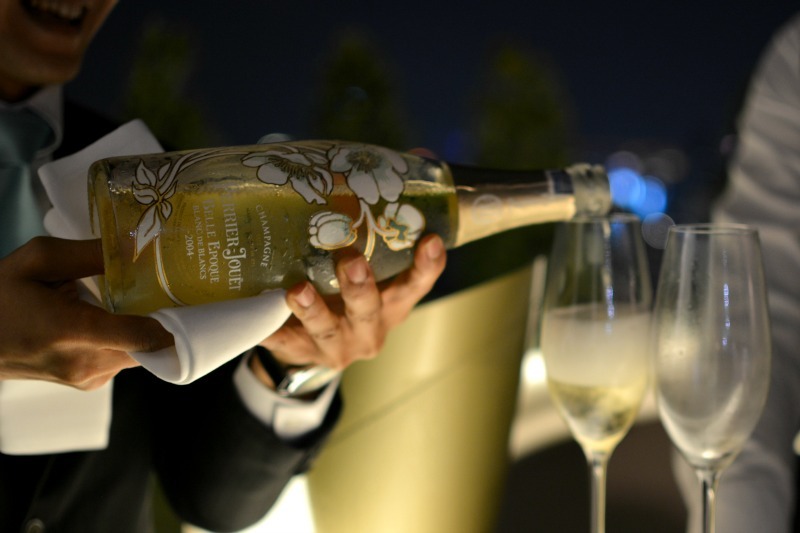 You can not get these champagnes anywhere else in Thailand, as they're available exclusively at The Dome at Lebua (The Dome bars include Flute, Sky Bar, and Distil). The night before the event myself and two British journalists (Hamish from Drinks International and Jeremy from Business Traveller Asia) who were also on the press trip, were lucky enough to have the chance to try the 2004 Perrier Jouet Blanc de Blancs for ourselves. We were having drinks at Flute bar with Deepak, and after telling us about the champagne and how beautiful it is, he spontaneously decided we should all try it, and asked the waitress to bring us a bottle. The cuvée Belle Epoque Blanc de Blancs 2004 is Maison Perrier-Jouet's rarest cuvee; made from a single harvest, a single grape variety (Chardonnay), and a single terroir, and there were only three bottles left in Thailand while we were there. Due to Thailand's heavy drinks tax, they were on sale at Flute for $3000USD each (which makes each glass worth $250USD), and after we drank one of them, we then watched a gentleman and his friends purchase the other two bottles just five minutes later. Thankfully they were expecting a delivery the day after the bar launch! 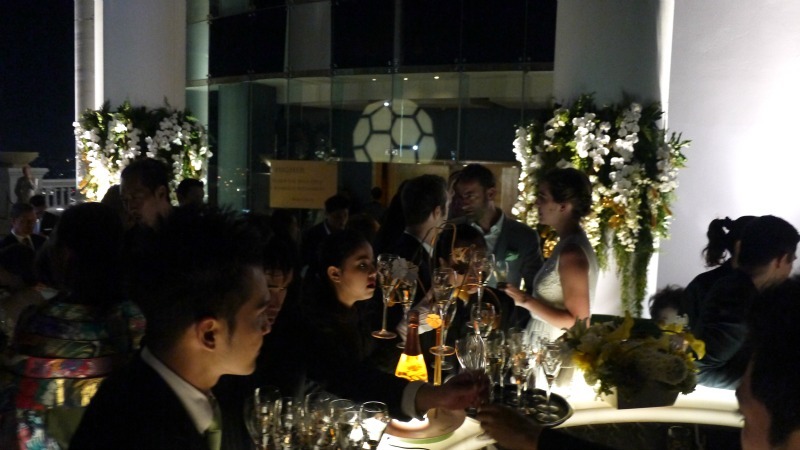 The champagne was exactly as Deepak had described; delicate, fresh, and simply beautiful. 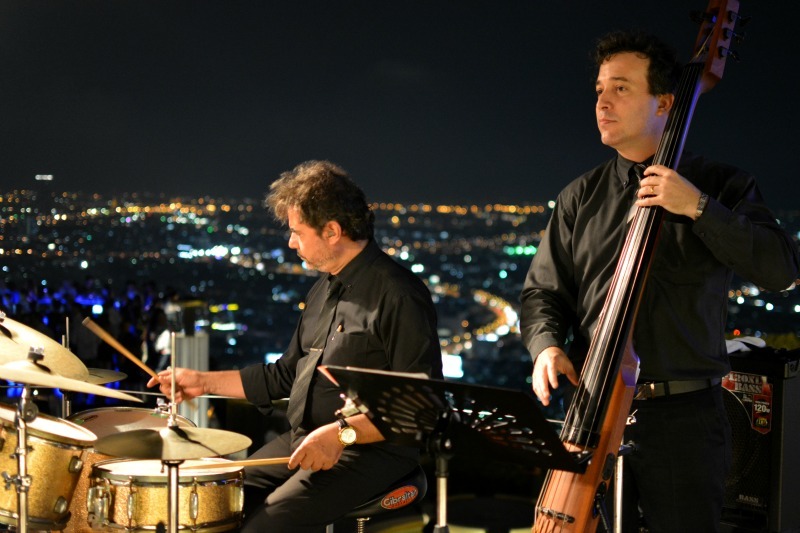 The party was in full swing with a live jazz band and really delicious canapes. I tried to keep my canape intake to a minimum though as we had dinner to go to later, but I couldn't resist the dark chocolate and fois gras ones! 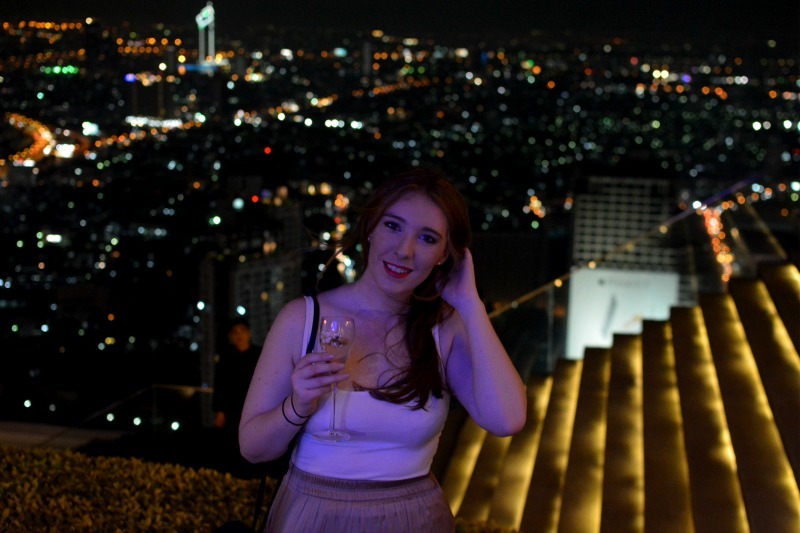 After chatting away to the gentlemen from Pernod Ricard, the bar was starting to get very busy with the beautiful and glamorous Bangkok locals, and I excused myself and wandered over to the steps down to the Sky Bar to take in the breathtaking view. The view up from the steps to The Dome - The Flute bar is right behind where the band are. ...or this one where I was trying to hold it back and then it flew upwards...haha! It does make me laugh though - my face looks a bit bemused. It was a really great event and it was very surreal to be at such a glamorous event in Bangkok when days earlier I'd been at work in London. 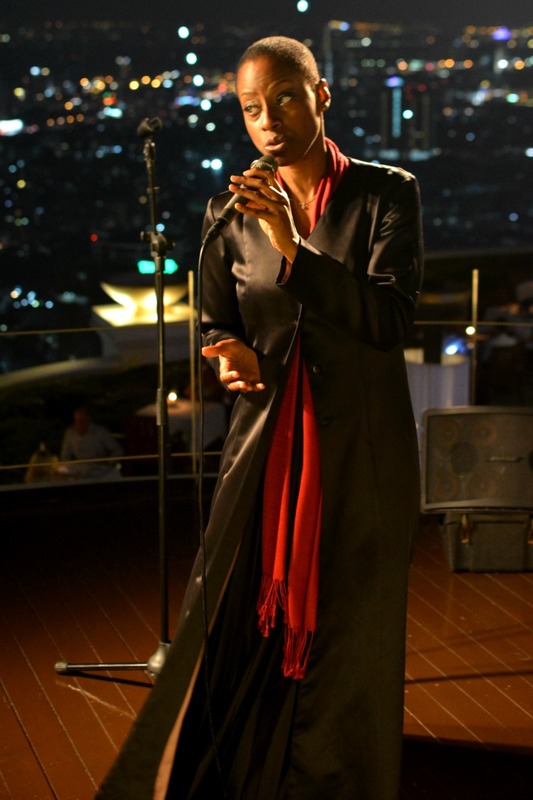 A huge thank you to Lebua for giving me such an amazing opportunity and for asking me to be a part of their special launch party. 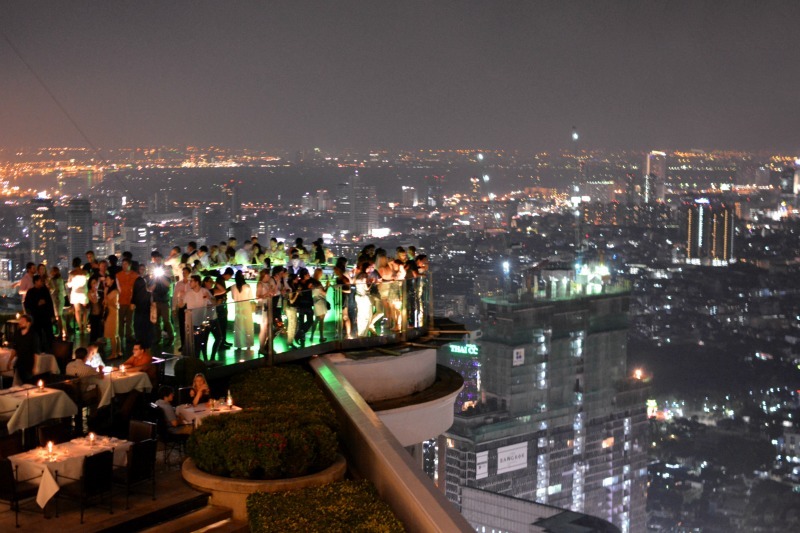 The Flute A Perrier-Jouet Bar, 1055 State Tower, Silom Road, Bangrak, Bangkok, Thailand, 10500. 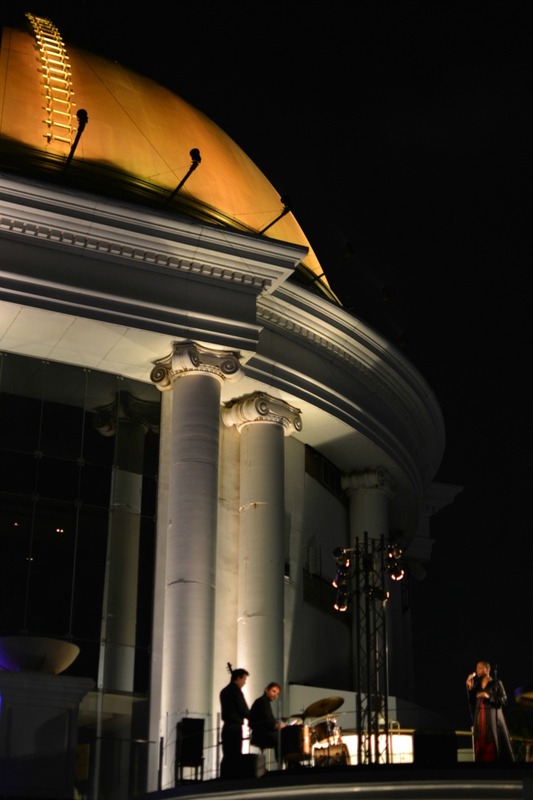 *I was a guest of Lebua throughout my stay in Bangkok, however as always my opinions are my own. 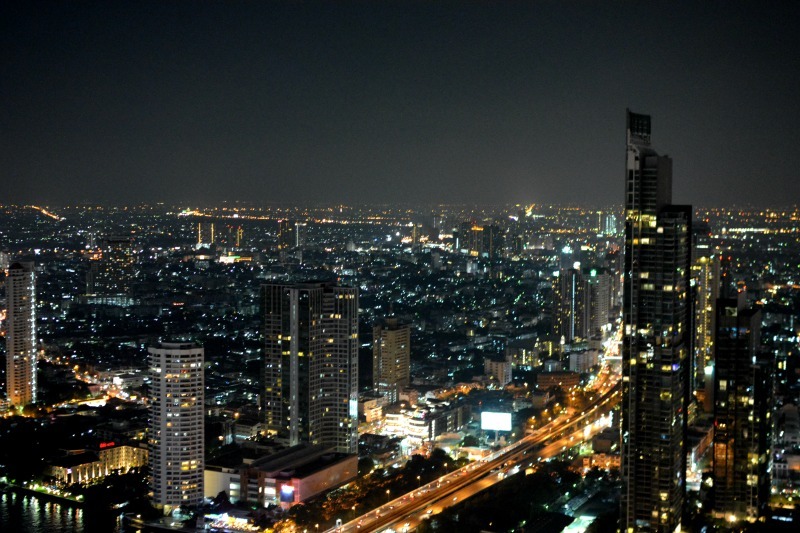 I'm off to Bangkok in 2 days and this is now a MUST on my to-visit list!!! All images are copyright and may not be reused without permission. This site uses affiliate links. Powered by Blogger.